Once in a while you just find something that clicks and makes life so much easier. I love hot oatmeal. Or at least I used to, but only in the winter. During the summer the thought of something hot just wasn’t that appealing. 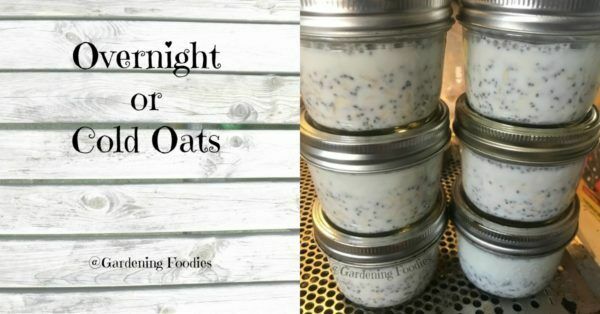 Well guess what, overnight oats, or cold oats as we call them at home came to the rescue. 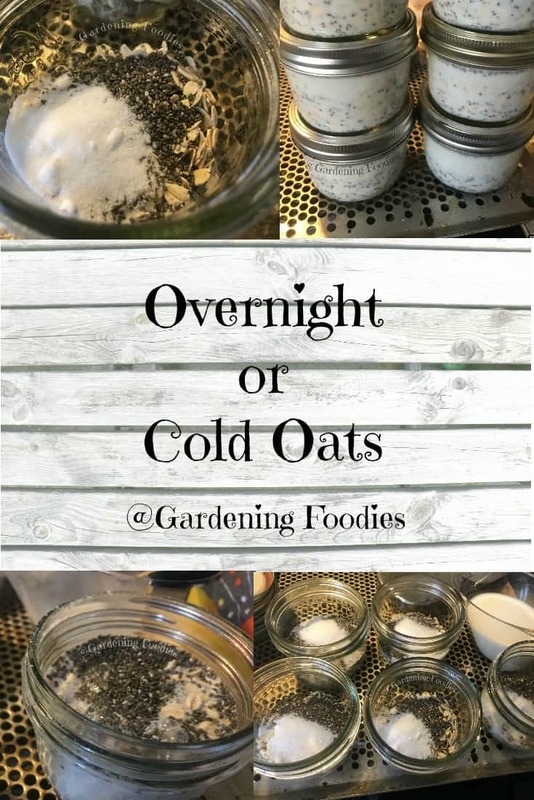 I had never heard of overnight or cold oats before. But I was looking for quick breakfasts that I could pack up and bring to work. I was also a brand new nursing mom at the time and oat meal kept coming up as a great food to be eating. Except that it was summer and like I said there was nothing appealing about a warm breakfast like that. 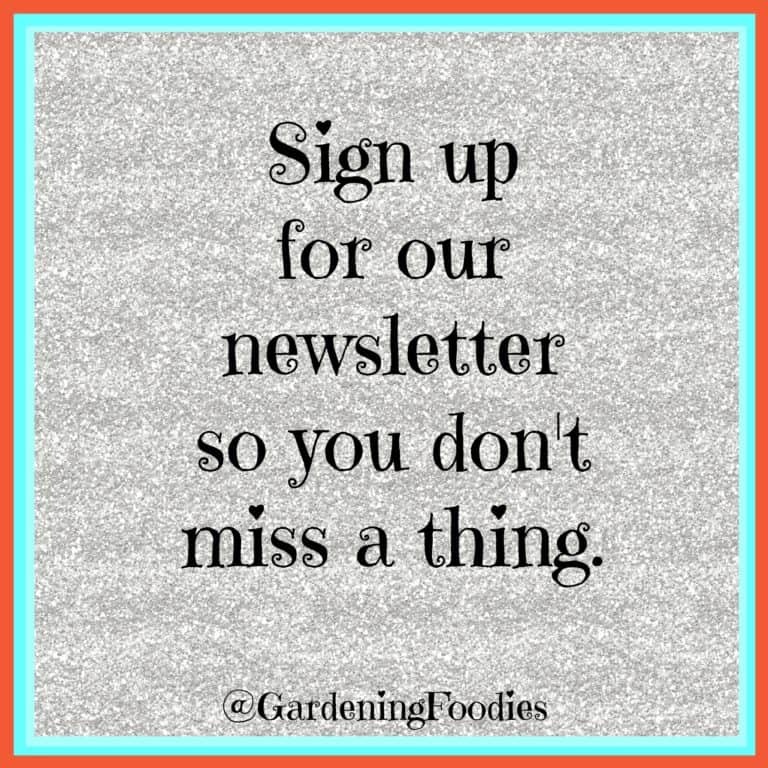 So as I’ve come to learn just go explore Pinterest if you’re looking for something fun to eat and need a new recipe. It’s crawling with all kinds of yumminess. Cold oats was one of those things. Which made it a win win in my book. Great make ahead breakfast, while at the same time being a great option for nursing moms. It’s been almost 5 years and I’m still not sick of these. The only reason I don’t eat them just about everyday is that lately I’ve gotten lazy and just forget to make them. Even better now is that both of my kids absolutely love them. The youngest who HATES and I mean HATES to be fed, will be fed these and keep baby birding you for more. Then after she’s finished hers, she’ll start baby birding me for mine. Mind you most of the time she’ll be sporting a belly so I know I’m not starving the poor child. There’s really nothing to these at all, but yet even in a small portion I find it to be filling and just enough to keep me going. So what’s actually involved? Oats obviously, a sweetener of choice, chia seeds, and a liquid make up the base. So there’s lot of room for what you like or don’t like here. Then I love mixing it with fruit, and I strongly believe you have to have some crunch here. Otherwise it’s too much mush for me anyway. I’ve tried to eat it without, and while it works, it’s definitely not my favorite. These make a great breakfast, or even a nice little afternoon snack. So take your pick. I love things that are easy to customize to your tastes. This is one of those. 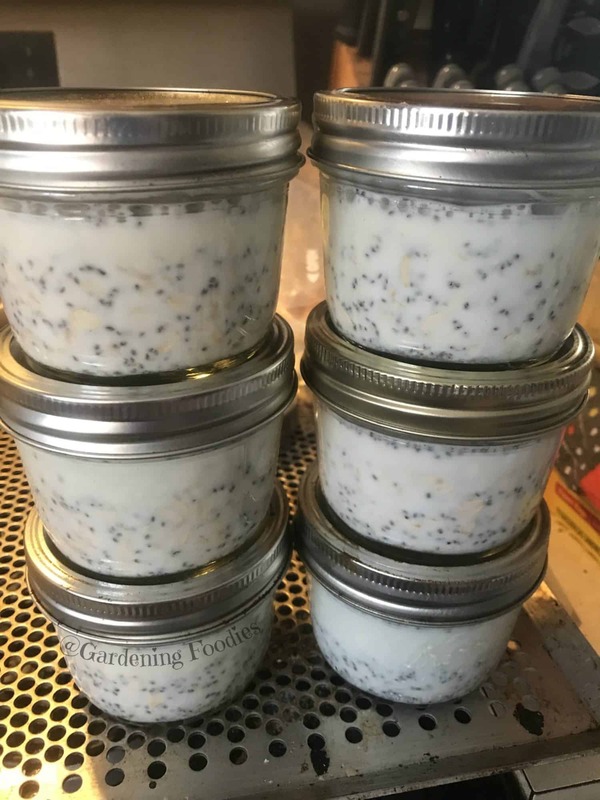 It’s so easy to change the texture (add more liquid, take away liquid, add more chia seeds, add a little less, make it sweeter, make it without). You can literally change this in so many ways it’s hard to imagine them all. But even once you settle in on your favorite base you’re still not done customizing it because of your add ins. What’s your favorite fruit, what’s your favorite crunch? I’m still loving a Tablespoon of unsweetened coconut with a Tablespoon of mini chocolate chips. Then I’ll try to add a cup of strawberries when we can get them. I like these “plain” with just the coconut and chips, but I do love it even more with strawberries. But you can use whatever you want. For the kiddos I tend you use strawberries, blueberries, or even a cup of frozen fruit thawed in the microwave (assuming I’ve forgotten to take it out the night before which is just about always). And they love it! Now a lot of recipes will tell you to just let these it overnight. And honestly the kids still love them, but I don’t. I need a good solid 24-48 hours before I’m really loving these, but that’s me. I’ll make enough for the whole week. Truth be told the only time we’ve had any problems with that is if I was using milk that was about to go bad (like a day or two before the expiration date) and then let them sit for the week. Then the ones we’re eating towards the end I’ve had to toss. So now I try to make them as soon as we open the milk so I don’t have to worry. But make them based on your schedule and your shopping schedule. And try them after various times so you get to know the differences and can determine where your sweet spot is. Now here’s another bonus for you. This is a great breakfast to travel with. Now I don’t mean through security at the airport, but if you’re staying somewhere for a couple days and have a frig (even a min frig) you can totally bring some containers and pack away the ingredients. Now when I’m traveling I’ll pack some powdered milk with me. That way all I have to do is mix and add some water. It’s not quite as thick or creamy as I like it, but I can still tolerate it to make my life a little easier when I’m traveling. And if you don’t mind throw away, you can actually use the snack size sandwich bag to mix the dry ingredients up before you leave. If we’re staying for an extended time I’ll actually just pack up the chia seeds (they’re the most expensive ingredient here) and maybe some coconut. Mostly because we can generally get the rest of the ingredients pretty easily. Hope you enjoyed. 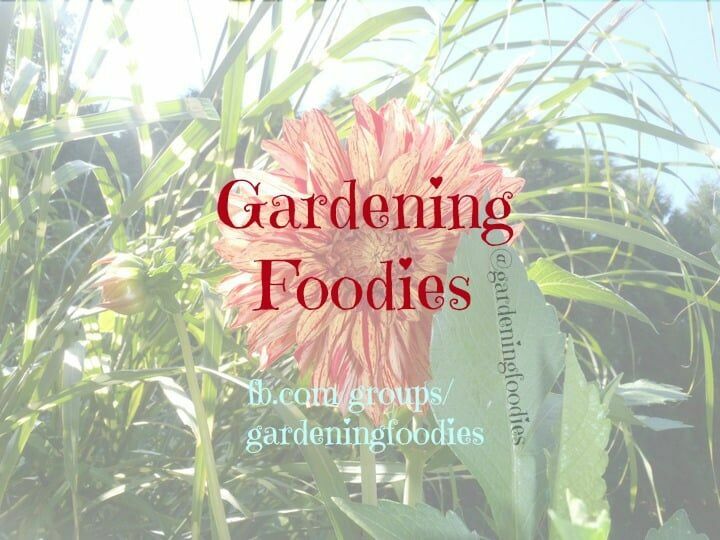 If you want to stay up to date check out our growing community on facebook for the latest and greatest. These are fantastic to make up as a single or make them in batches so you have them all week. I also love them because they're pretty quick to bring together, and even quicker to grab in the morning. Sometimes I'll even snag one as an afternoon snack because they're pretty filling. These are simple, yet versatile enough that you can truly customize these to you're needs and desires. So make a batch and try your hand. Figure out how many you would like to make and gather the appropriate number of containers. 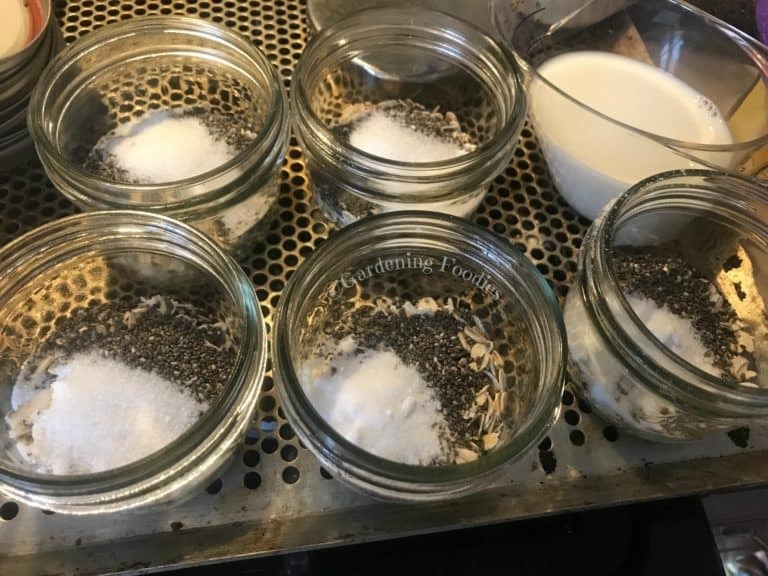 I personally like using the wide mouth half pint jars. But any container that holds about a cup of liquid and has a secure top should work. Add in 1/2 cup liquid of choice. I prefer to use whole milk when I can. I have also used powdered milk with water while traveling as well as coconut milk. Personal preference so there's lot of room here. Secure the lid and give it a good shake. Then store these in the frig. This to keep in mind with this recipe. This is the combo that we've decided that we like. You may like it a little more soupy (more liquid) or you may decide that you like it a little thicker. 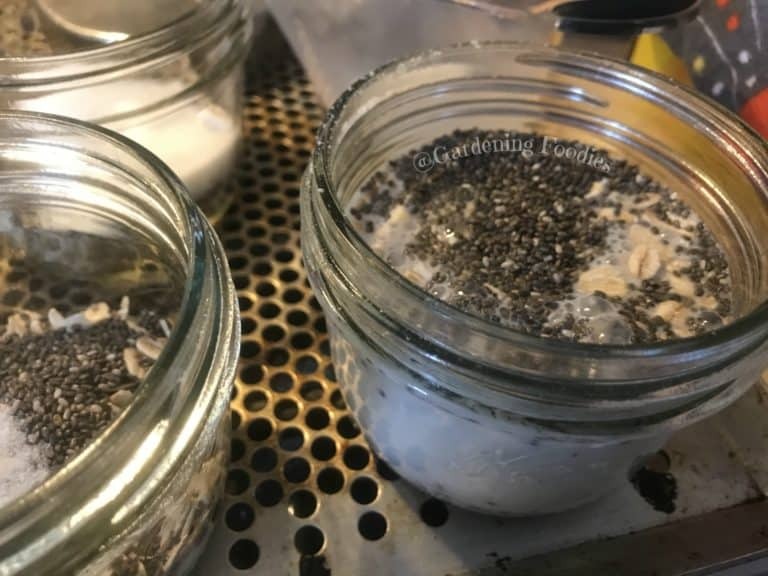 If you like it with less liquid you can either cut back the liquid that you add, or increase the chia seeds that you use. Either way play a little and find the texture that you enjoy. I know when I make these for the hubby he enjoys a 1/2 cup oats, 1 Tablespoon chia seeds, about 2 teaspoons splenda and 3/4 cup skim milk.